By Christine Schmidt @newsbyschmidt April 15, 2019, 6 a.m. In these potential pre-recession days, everyone is watching consolidations and combinations (and private equity purchases). But what about mergers — between public media and spry startups that keep the teams intact and the mission of impactful journalism alive? Colorado Public Radio’s scooping up Denverite from the promising Spirited Media flashed extra bright on much of Media Twitter’s radar, as it also signaled the end of Spirited Media’s media. 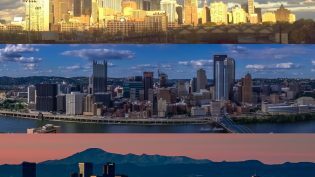 Philadelphia’s WHYY announced its acquisition of Billy Penn, formerly of Spirited Media, the very morning this piece published. But it’s a relatively proven model at this point. There’s KPCC/WNYC/WAMU’s revival of Gothamist remains LAist/Gothamist/DCist last year. Jan Schaffer wrote an entire series about such matchups for us back in 2013. And last month, digital outlet NJ Spotlight, an online news site focused on state policy coverage and beat reporting, has found a new home with WNET/New York Public Media, the operator of New Jersey’s public broadcaster NJTV and its nightly local newscast NJTV News. Many post-print journalistic endeavors that launched as recession layoffs cut through the industry are now approaching their first-decade birthday. Optimistic, out-of-the-box scragglies are not quite hitting their stride — business models are still hard! — but they’re still alive, which is a plus. Some smaller newsroom leaders are looking for other outs. Enter public media. And WNET was excited to pull in NJ Spotlight’s digital savvy: “We really have hopes we will be able to iterate NJ Spotlight to our other operations in Long Island, New York City, and elsewhere,” said Bob Feinberg, WNET’s general counsel and merger discussions leader. “That’s when we did the full hog with [local] debates and we dated for a while. We did more and more and got some space in their studio where we could hang out. That courtship went on for a while, a good chunk of a year,” Mooney said. With both outlets creating daily products and no cash to change hands in the deal, deadlines were not exactly pressing. The agreement was made official, after negotiations finally finished, in early March. The full nine-person NJ Spotlight staff is working on meshing with the public media culture (“I haven’t been to the office in 12 years,” Mooney said) and scoping out more in-house collaborations. The partnership will strengthen the journalism, sure, but it might also help shore up the revenue side with NJ Spotlight’s crafty streams taken to WNET’s scale. Mooney “wouldn’t say lucrative” for the events, though the organization’s panels and discussions unpacking the state’s policy points are inspired by The Texas Tribune’s system. (He would say sponsored underwriting is helping develop the events as a “steady revenue stream.”) The Texas Trib made 18 percent of its revenue from events for the year ending June 2018. In our conversation, Mooney dreamt of creating a Tribfest-intensive endeavor, expanding up from Spotlight’s one-shot panels. “We tried a couple years ago an NJ Spotlight on Cities one day event which was great but labor intensive — and we ran out of labor,” he said. In-person gatherings also offer another space for NJ Spotlight to scope out its combined mission with NJTV: “This is an opportunity to revisit what we are, and see if we’re serving these communities, and how we can do that better — especially underserved communities that haven’t trusted the media in a long time, long before Trump,” Mooney said. Will other public media add onto their portfolios with a neighborly news startup? We’ll wait and see if WNET and NJ Spotlight’s union stays happy. 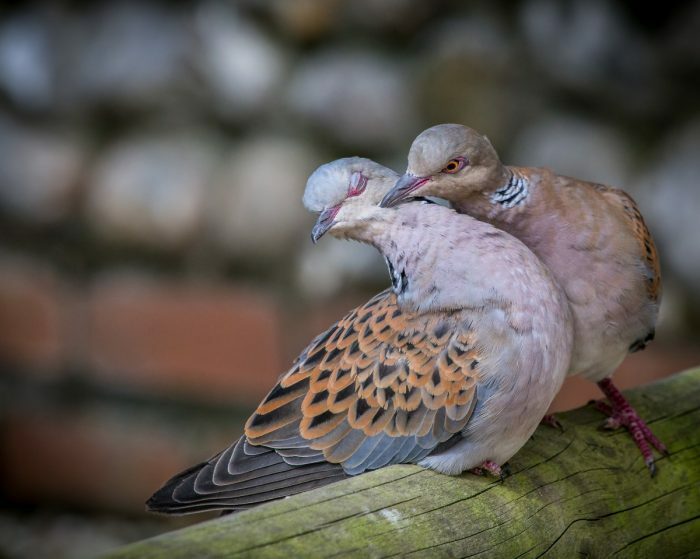 Photo of courting doves used with a Creative Commons license. POSTED April 15, 2019, 6 a.m.